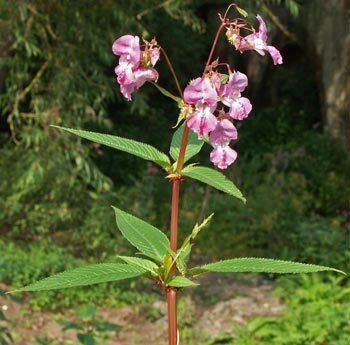 This plant was introduced into the UK in the 19th century and has now become widespread, particularly along rivers, where it suppresses the growth of native species and allows erosion of river banks once it has died back during the winter. As a consequence, it is now listed under the Wildlife and Countryside Act 1981 and it is an offence to plant or allow this species to grow in the wild. It is common across Cumbria including the catchment of the River Cocker. Over recent years, the Environment Agency (EA) has been spearheading a campaign to eradicate it through chemical spraying, mass strimming and the use of as many pairs of local hands as can be mustered. Locally, Elly Rowland of Low Lorton is co-ordinating these activities, in particular to try to get local people to “adopt” a patch of land to keep free of the balsam. A meeting was held in early April 2012 with representatives of the West Cumbria Rivers Trust to get things moving for the 2012 growing season. Further information about this will be published here in due course and you can leave messages offering help or info about where the plant has been seen growing on the message board below. 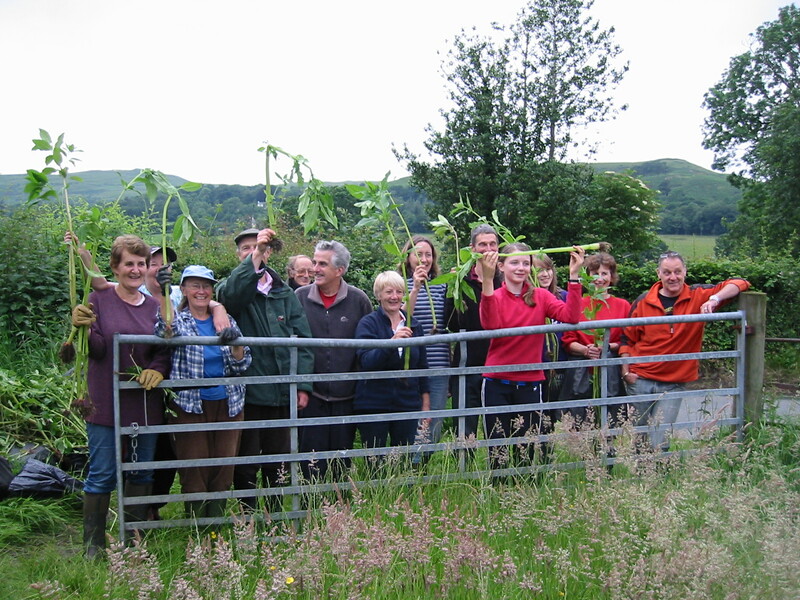 Just to show you that action is underway, here’a a picture from an evening balsam bashing in Lorton. Factsheet on HB by the GB non-native species secretariat.